In 1946, right after the Second World War had ended, 34 prominent Dutch companies took the initiative to establish the N.O.I.B. (Netherlands College for Representation Abroad). In November of that year, students moved into the Nyenrode estate. After graduation, they were destined to meet the founders’ requirement for speedy post-war deployment in further developing the Dutch business community abroad. Initially the Nyenrode property was rented from the Goudstikker heirs, and later purchased from them. The previous occupant and prominent art collector and dealer, Jacques Goudstikker, had to leave Nyenrode and flee from the Germans; he died during his flight. 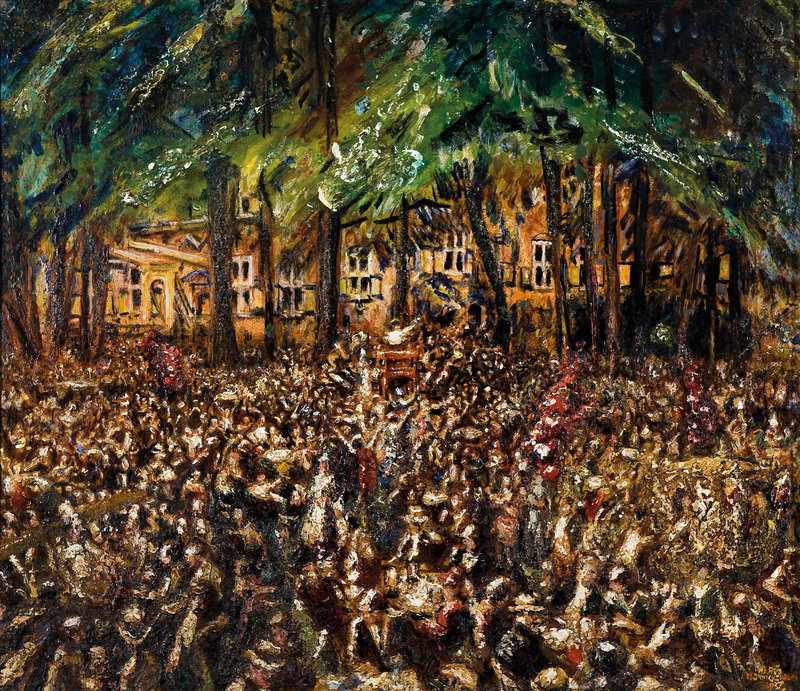 (ill.) ‘Weener walzen op Nyenrode’ by Martin Monnickendam (oils) illustrating a performance by Mengelberg and his Concertgebouw orchestra in front of the castle on 17 June 1937. Interestingly, at this performance Jacques Goudstikker first met his wife-to-be, Desi von Halban, a well known singer from Vienna. Collection Joods Historisch Museum Amsterdam. Obtained thanks to the BankGiro Loterij. For many years Jacques Goudstikker had been the chairman and driving force behind the VHOK (Association of Fine Art Dealers in the Netherlands) and in 2012 his daughter-in-law, Marei von Saher, accepted a posthumous award – the Hendrick Goltzius gold medal – on his behalf on the occasion of the VHOK’s 100th anniversary. Not only was Goudstikker an authority in the art field, but was, in his professional practices, in fact already applying what were to become Nyenrode Business University’s LES principles: Leadership, Entrepreneurship and Stewardship. Goudstikker initiated various major exhibitions (for example, in the Rijksmuseum), as well as organizing numerous cultural events at Nyenrode during which visitors could, of course, also see his artworks in the castle. During interviews that alumnus Pol Schevernels conducted for the VCV alumnus magazine in the feature ‘Art in your surroundings’, with art collectors, art lovers and artists among the alumni, many former students expressed a willingness to display their art at Nyenrode, or to donate artworks. Thanks to three of them – Leo van Os, Herman Vaanholt and Roy Voogd – and to the enthusiasm of Rector Magnificus, Misa Dzoljic, it was possible to mount the first exhibition, which, with collaboration from various disciplines at Nyenrode, opened on 20 November 2014, coinciding with 68th ‘Dies Natalis’. It featured photos by the South African photographer, Pieter Hugo, from the private collection of Herman Vaanholt. In response to the express wishes of the Rector Magnificus for a structured approach (and in fact in keeping with the style of the former owner, Goudstikker), Art Fund Nyenrode was set up, with Leo van Os it’s first chairman. He too proved to be very much in favour of bringing art back to Nyenrode. Roy Voogd envisaged scope for culture and got off to a flying start as chairman of the new VCV Kring Kunst (Circle Art) in the process. 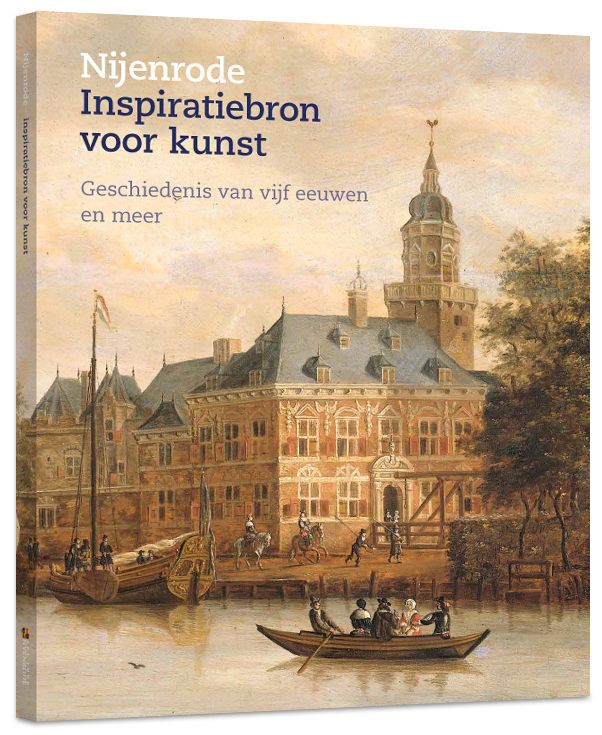 Art Fund Nyenrode intends to organize several art exhibitions a year, to be put together by people with a connection with Nyenrode. In addition, various other activities have been taken on board, including taking up donated artworks, which will be incorporated in a Nyenrode collection and will remain there on display.